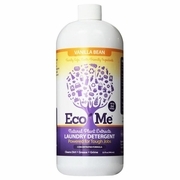 Eco-Me Laundry Detergent Vanilla Bean 32 fl. oz. (64 Loads). 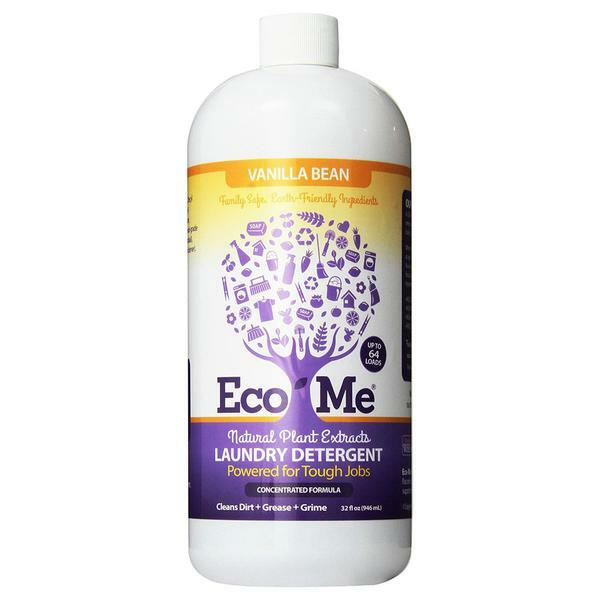 Pure and natural laundry detergent, rich vanilla scent. Safe for sensitive skin and tough on dirt. Concentrated with up to 64 loads. For use in standard and high-efficiency machines as well as hand washing. •Coconut Oil Soap Potassium Cocoate: a natural soap derived from coconut oil. •Olive Oil Soap Potassium Olivate: a natural soap derived from olive oil. •Jojoba Oil Potassium Jojobate: a natural soap derived from jojoba oil. •Plant-based Solubilizer Caprylyl Capryl Glucoside: Mild, solubilizing non-ionic surfactant that is obtained from renewable vegetable origin.